Puerto Grande is a protected cove on the northwestern side of San Cristobal, with a white sandy beach - just perfect for a peaceful walk, swimming, sun bathing and photo opportunities. It is located next to Kicker Rock Island. The beautiful and peaceful beach houses a system of dunes and plant species endemic to the Galapagos Island coast, as well as many aquatic birds. You might be lucky enough to see a yellow finch flitting around the beach. The National Park Service may give a few lucky visitors, who arrange in advance, permission to camp here. That it is the nesting ground for blue-footed boobies and frigate birds is enough to warrant a trip to Isla Lobos, a small rocky islet off the coast of San Cristobal. 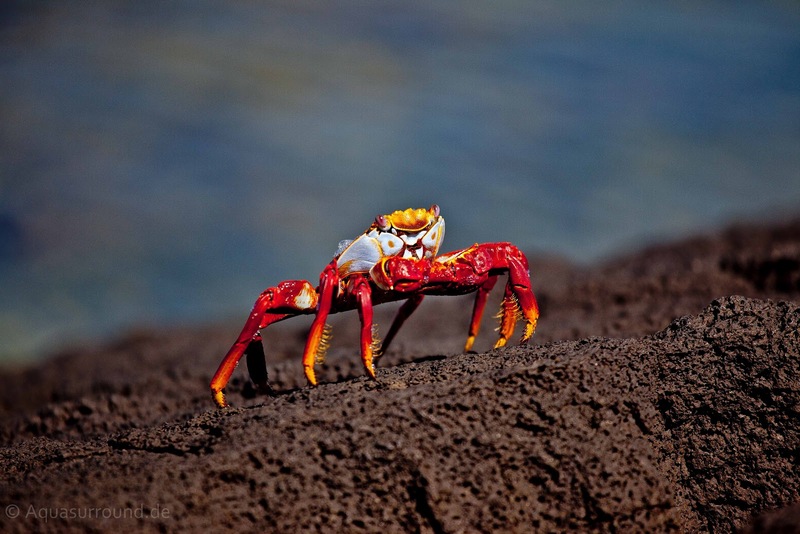 If you are lucky enough to visit this tiny island and walk its shores, take in the Sally Lightfoot Crabs and view the arid indigenous vegetation and examples of the Galapagos’ ubiquitous volcanic rock. You certainly will experience Nazca Boobies, as well as frigatebirds, both male and female swooping into the water to gather food. 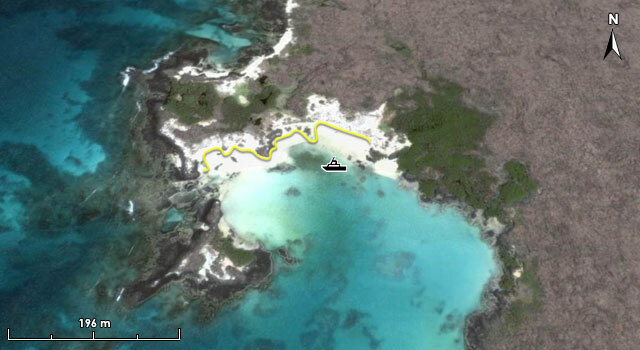 But, Isla Lobos literally means “Sea Lion Island” and that says it all. 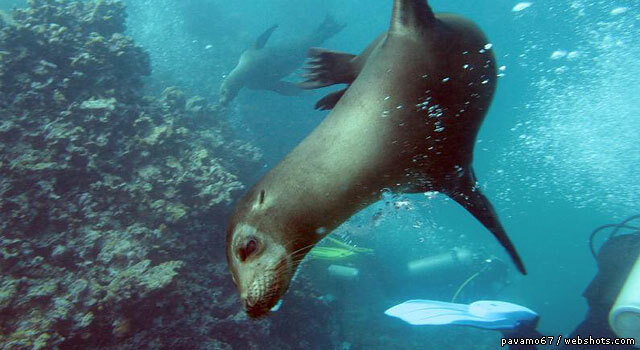 Here, you have the unmitigated pleasure and delight of swimming with the captivating and charismatic sea lions. Unafraid and eager to engage, the sea lion pups will entice you to chase them and play like one of them. Other marine life at Isla Lobos includes manta rays, multiple fish species, brown pelicans, star fish and sea turtles. Isla Lobos is just one hour by boat from the harbor at Puerto Baquerizo Moreno and may be visited only with a naturalist certified by the Galapagos National Park Service. Punta Pitt is located at the eastern end of San Cristobal and you may land on this site only if accompanied by a certified naturalist. 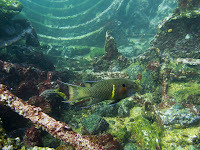 However, snorkeling is open to anyone and provides a wealth of opportunities to see the marine life. It is a favorite snorkeling and diving reef populated by large schools of tropical fish including king angelfish, grunts, snappers, and Alamo jacks. Sea lions, octopus, rays, and whale sharks also are frequently seen nearby. The trail at Pitt Point, which comprises a walk of about two hours, ascends to the top of a volcanic tuff and has several stunning vistas for photograph opportunities. The beach itself is populated by sea lions. 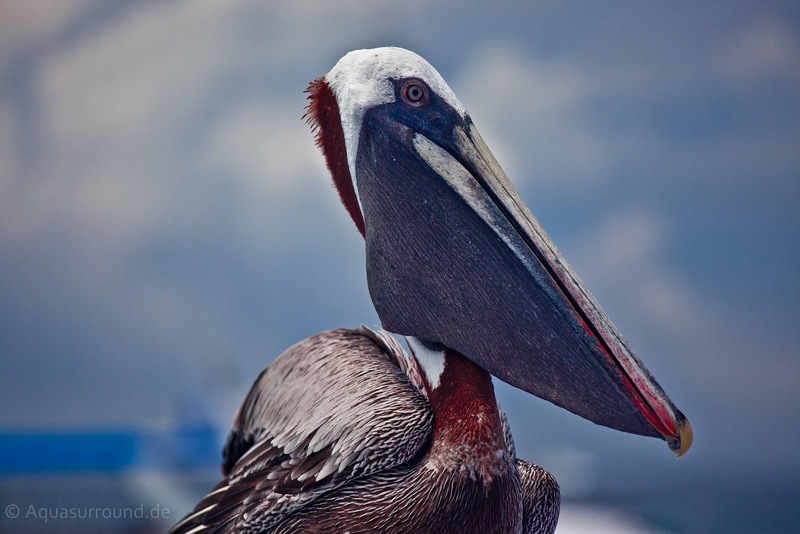 Visitors hope to see all three species of boobies – Red-Footed, Blue-Footed and Nazca – when they visit Punta Pitt. 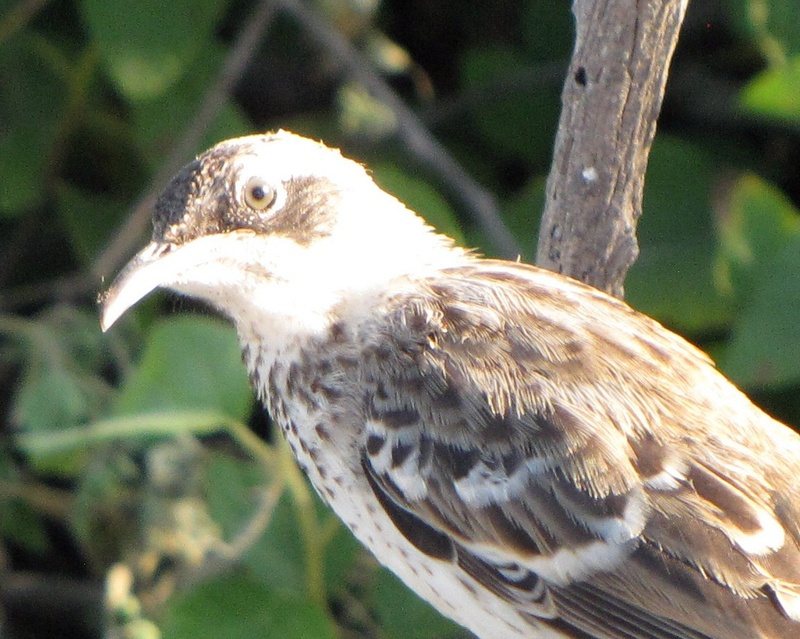 According to the Galapagos National Park Service, it is the only place in the entire archipelago where all three species reside because of the abundance of small fish eaten by all three species of boobies. They all are excellent divers and can be seen in groups swooping down into dense schools of fish to eat their fill. Their nesting sites are segregated: Blue-Footed Boobies nest in the interior, Red-Footed Boobies nest on shrubs and Nazca boobies nest in the cliffs. 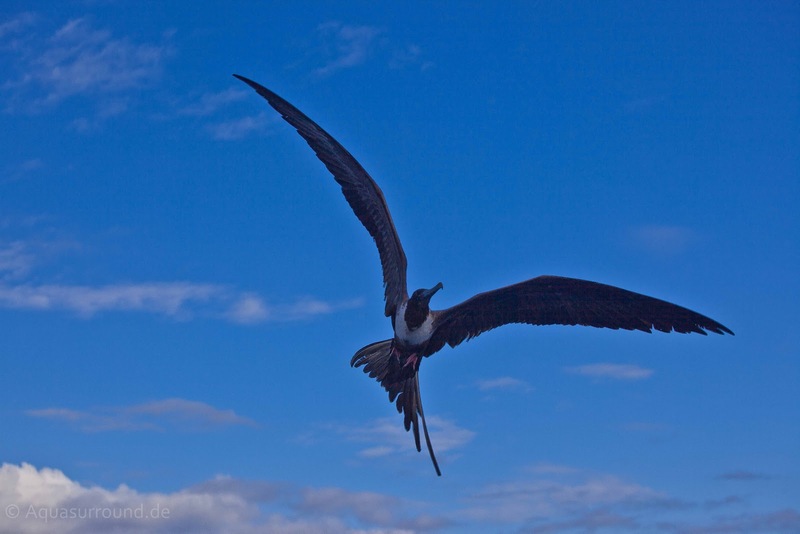 Pitt Point is also the nesting site of frigate bird species. The stunning beach is crystalline in consistency and frequented by sea lions, frigates, pelicans, herons and gulls. Witch Hill, found on the northern coast of San Cristobal, will delight you with one of the most picturesque white-sand beaches in the Galapagos, although it is open only to trips guided by certified naturalists. This location was one of Charles Darwin’s first stops in the Galapagos Islands and a likely place that he observed the finches that served as the basis for his evolutionary conclusions. As you hike at this location, the feel of the warm powdery white sand will soothe you while you engage with some of the most exciting wildlife in the region. The area is populated with sea turtles, rays and blue-footed boobies. The ever-popular and personable sea lions lounge on the beach and play in the water. The cliffs are exceedingly majestic here and the aa lava is remarkable in its formations. The entire formation is the eroding tuff of a volcano. There are two primary forms of plant life here, both known as halophytes, which means a plant whose roots actually grow in water with very high saline content. You don’t have to land on Witch Hill to appreciate its uniqueness. 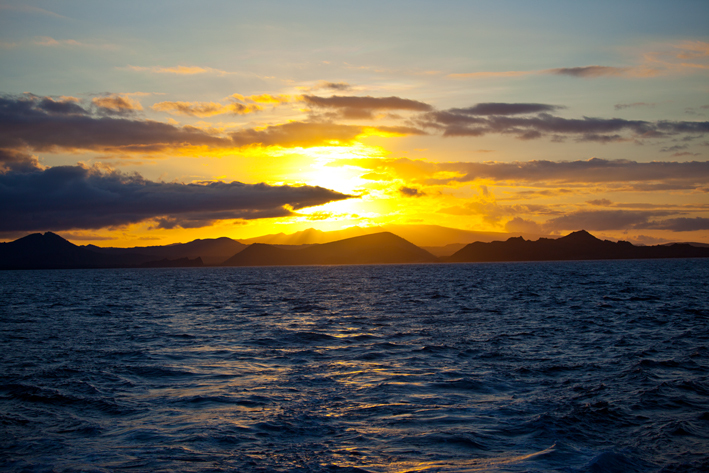 There is no place like it in all of the Galapagos. The cliffs are stunning; lie back in your panga and look up to get its full majestic quality. Your panga can drive through scenic p assages and you can see Kicker Rock on the other side. This is a stunning view. At Witch Hill is the chance again to swim and snorkel with sea lions and observe pelicans, Blue-Footed Boobies, iguanas and other Galapagos endemic marine life. 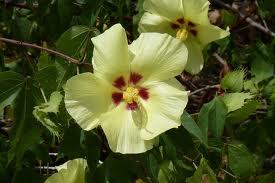 Throughout WWI transport ships sailed around the Galapagos islands. It was right outside the harbor of Puerto Baquerizo Moreno that the WWI German transport ship Caragua sank 100 years ago. At the wreck site a reef-like environment has been created. SCUBA divers will be exposed to stingrays, nudibranches, corals, schools of fish, rays and sea lions. 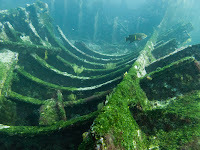 This remains one of the few wreck dives in Galapagos. 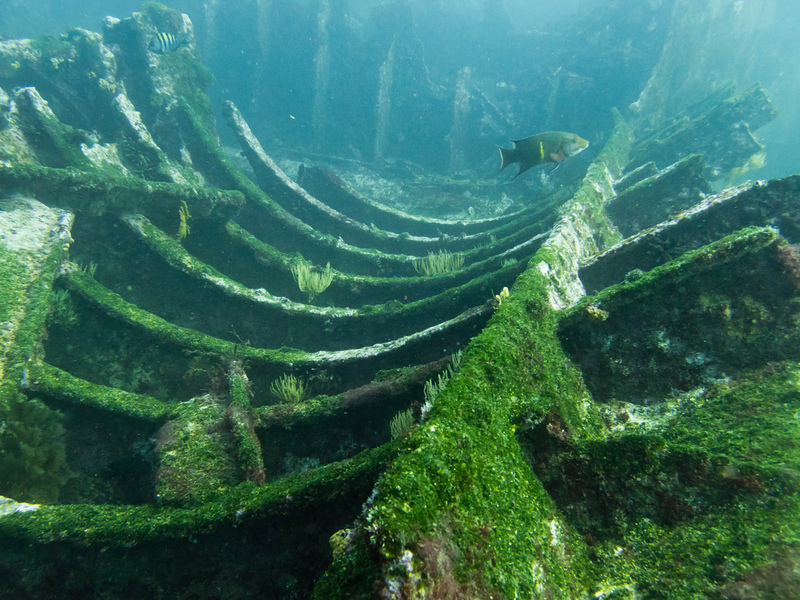 The wreck is approximately 300 feet long and you can inspect the ship's remains including the propellers and boilers. Another popular boat trip from San Cristobal is Ochoa Beach, just 30 minutes away. This quiet beach is the home to many sea lions as well as ghost and hermit crabs. The birdlife here is prolific because of the pools that form along the shoreline. Endemic mockingbirds also frequent this beach. Manglecito is a beautiful surfing area and a lovely spot for photography, particularly for bird lovers. Here, visitors have a delightful beach as well as the opportunity to see mangrove trees endemic to the Galapagos Islands. More typically, mangroves are viewed in the newer islands to the west. Many aquatic birds frequent the mangroves so visitors are apt to see several different species of finches, herons, warblers, and mockingbirds. San Cristobal Island and its surroundings feature some of the most memorable sites anywhere in the world, and certainly in the Galapagos Islands. From the Galapagos Eco-Lodge, all of these sites and more are just hours away by boat. Use each day of your vacation to its fullest by staying at the lovely Galapagos Eco-Lodge boutique hotel and traveling with me each day to the paradise I call my home. I promise you the time of your life and an adventure you will never forget.